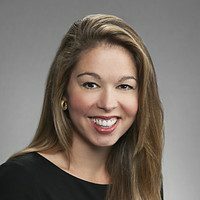 Victoria Kumpuris Brown, Senior Program Officer, joined the Robert Wood Johnson Foundation staff in 2015, bringing her exceptional experience in connecting business and healthcare to the battle against childhood obesity. Working with the Foundation’s Engaging Business for Health and Childhood Obesity teams, Brown views her role as “bridging multiple sectors, including the business community, to address the epidemic of childhood obesity. “Ultimately building a Culture of Health takes collaboration and partnerships,” she says, and it takes all of us working together with a common purpose.” She believes that the Foundation will raise the bar on engaging businesses and activating the private sector in building the Culture of Health. Brown’s demonstrated track record of mobilizing the business community around social imperatives began with her previous position as the Vice President for Strategic Alliances at the Alliance for a Healthier Generation, founded by the Clinton Foundation and American Heart Association. She led the Alliance’s work with the food, beverage, and healthcare industries, helping them become part of the obesity solution through the facilitation of commitments to business practice changes that create healthier environments for children and families. Under Brown’s leadership, the Alliance signed a groundbreaking agreement with McDonald’s to increase access to fruits and vegetables and help families make informed choices across their top 20 markets worldwide and impacting over 85% of global sales. She also negotiated a landmark agreement with the American Beverage Association, Coke, Pepsico and the Dr. Pepper Snapple Group to reduce beverage calories 20 percent by 2025 for all Americans. In addition to her work with food and beverage companies, Brown also created and launched the Healthier Generation Benefit, a collaborative of over 20 health insurers and employers extending first ever health benefits for the prevention and treatment of obesity. Brown holds a Master of Public Affairs degree from the Lyndon B. Johnson School of Public Affairs at the University of Texas at Austin and a B.A. in public policy from Washington and Lee University.